JUST REDUCED!!!!! $218,900. This is a MUST SEE!!! Cathedral Ceilings ~ Huge Master w/Luxury Bath Jetted Garden Tub ~ Newer Windows 2012 ~ Spacious at 1704sf, Clean and well maintained. 3148 Guardhouse Circle - This gorgeous garden style detached single family condo is located in Courthouse Woods in the heart of the Courthouse district in Virginia Beach! It features a detached spacious 2-car garage with lots of room for a work space. 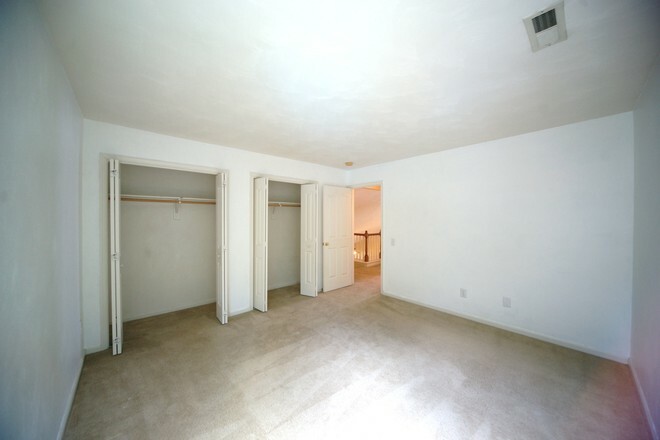 The floor plan is spacious with a HUGE Master bedroom downstairs. The Great Room features soaring Cathedral Ceilings and bull nose corner beading with superb lighting fixtures -for a luxurious feel. This home also features a fireplace, newly installed windows throughout, new garage door opener with motion sensors, energy efficient appliances, washer/dryer, soft neutral palette throughout. The Master Bedroom is Huge!! This room features a large walk-in closet and luxury master bathroom with a jetted garden style tub with a large non-see thru window over the tub, separate shower and double sink vanity, new linoleum flooring in both bathrooms. This home is beautifully maintained and has a private wooded view in the backyard. This area is home to many of the top ranked schools to include Kellam High school, Landstown Middle School and North Landing Elementary School.